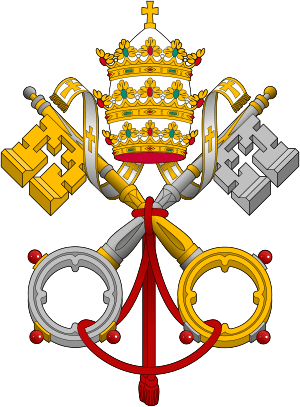 The Roman Catholic Church claims the choice of each pope is guided by the Holy Spirit, despite some of the popes who were chosen, including one who sold the papacy and the time they had two popes disputing who was the real pope, and when they tried to resolve it, they came out with three people claiming to be pope, and the so-called “Roman” Catholic Church had a pope ruling from Avignon, France for a time. They claim Peter was the first pope when there’s no secular record of him even having visited Rome, and he was named as the apostle to the Jews, whereas Paul was named the apostle to the Gentiles (Galatians 2:8), and there actually is evidence of Paul having visited Rome and the Church’s teachings are actually Pauline (don’t marry, no divorce, submission to governing authorities), and the books of first and second Peter are among the most dubious in authenticity, with even the early church fathers regarding 2 Peter as the most dubious. And what a great example he was, in having a wife, despite their ban on married priests, slaves were told to obey their masters even when they are acting unjustly according to 1 Peter 2:18, and he was called Satan by Jesus (Mark 8:33) and denied him three times (Mark 14:29-31), and cut off a Roman’s ear despite Jesus’ teaching of turning the other cheek (John 18:10). For a broader commentary on Christianity, the Bible and Judaism, see my article, Jason Erb critically analyzes biblical doctrines on Truth Hertz with Charles Giuliani, January 1, 2013.